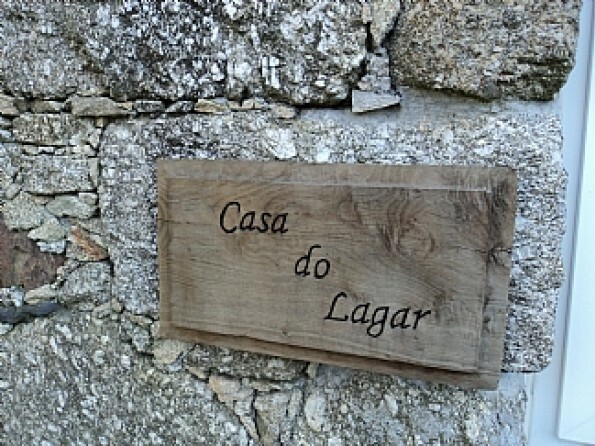 Lagar Cottage, once a wine-making shed, is part of a charming 19th century farmhouse, set in the beautiful Minho area of Portugal. Restored in a contemporary fashion it still retains many original features, not least the huge stone tank on the terrace in which the grapes were trodden. 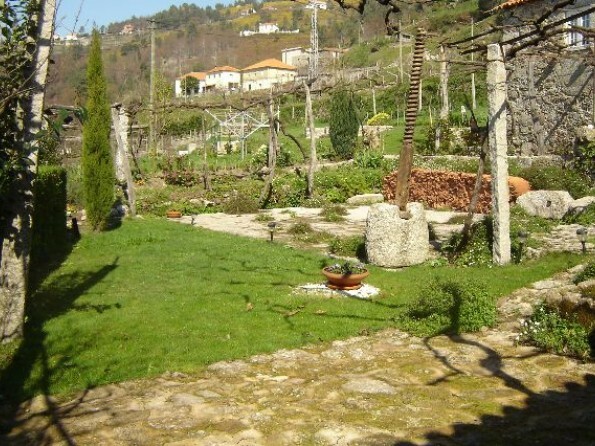 Rustic, unspoilt and peaceful, this is a place where you can discover the true character of Portugal. Apart from the occasional passing car or the music of church bells, the only noises you are likely to hear are those of the local chicken, sheep and cows! With its own private terrace, exceptional views and use of a lovely swimming pool, Lagar Cottage offers a complete escape from the hustle and bustle of the real world, and is just the place for some rural R&R. 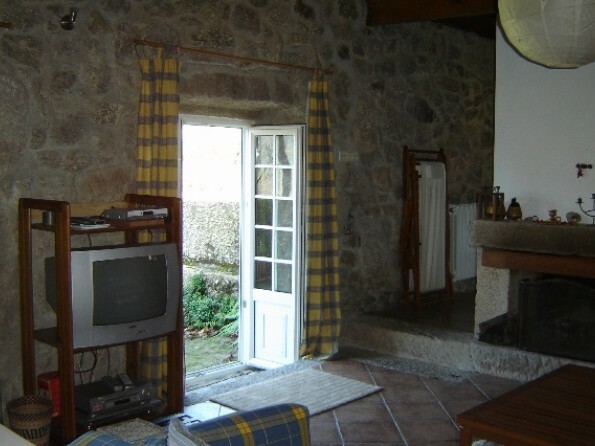 Set in the picturesque Minho area, midway between the towns of Ponte de Lima and Paredes de Coura, the cottage is set in a secluded rural area. 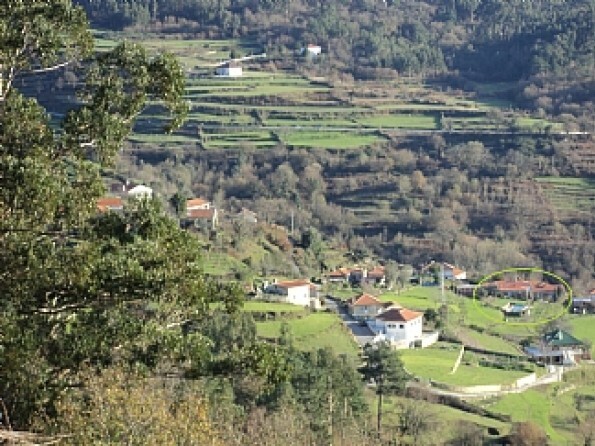 However, it is also well placed for sightseeing, with Spanish Galicia to the north, the Atlantic beaches to the west, the historic cities of Porto and Braga to the south and the national park of Peneda-Geres to the east. The area abounds in picturesque market towns with colourful street markets, tiny hill top shrines affording fantastic views over the surrounding countryside, and village fiestas with their traditional religious processions. 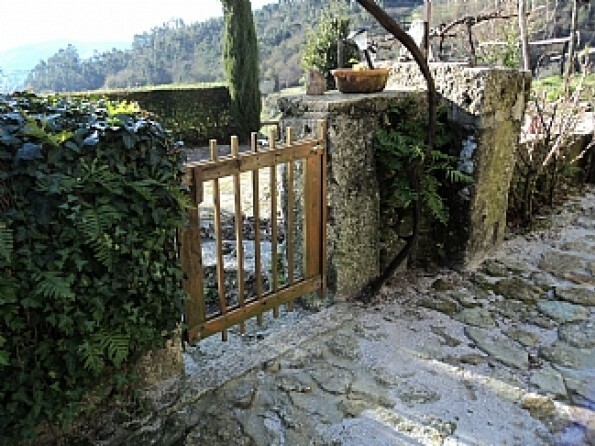 A couple of miles from the property is the protected area of Corno de Bico which is ideal for walking or mountain biking, and there are plenty of local river beaches to explore. 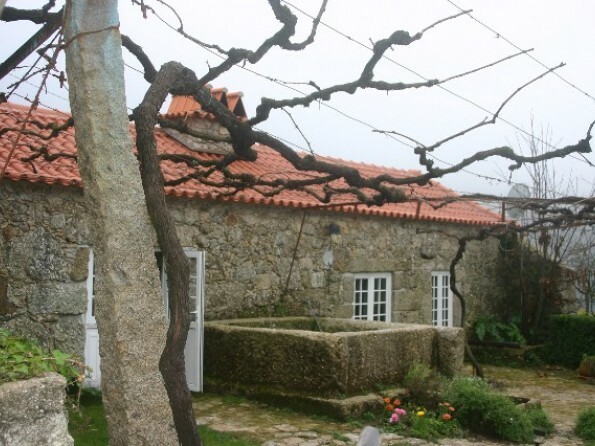 The historic town of Ponte de Lima is a must, with its Roman bridge and medieval centre. Horse riding and canoeing are also available nearby. Porto airport is 95km away and is an easy journey by car. 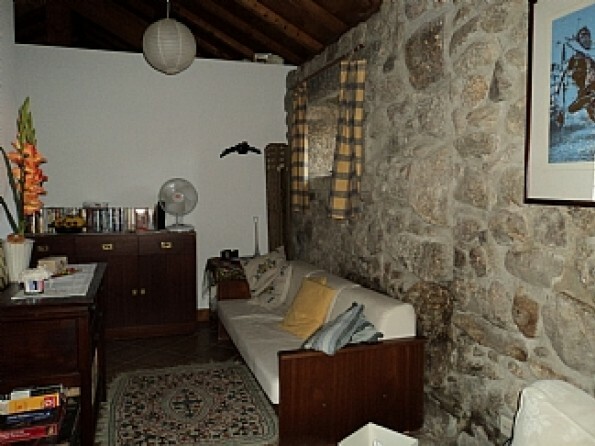 The cottage has one double bedroom and additional sleeping accommodation for one to two people in an alcove in the living room (which can be screened off). 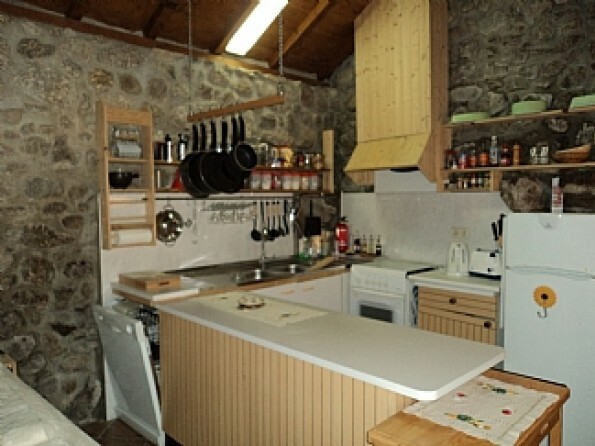 The kitchenette has a full sized gas oven, a 4 ringed hob, a fridge freezer, a microwave, a dishwasher and other smaller kitchen appliances. There is a fully equipped bathroom with a shower over the bath. French windows open out onto a vine-covered patio with outdoor furniture, which is an ideal spot for drinking and dining al fresco. 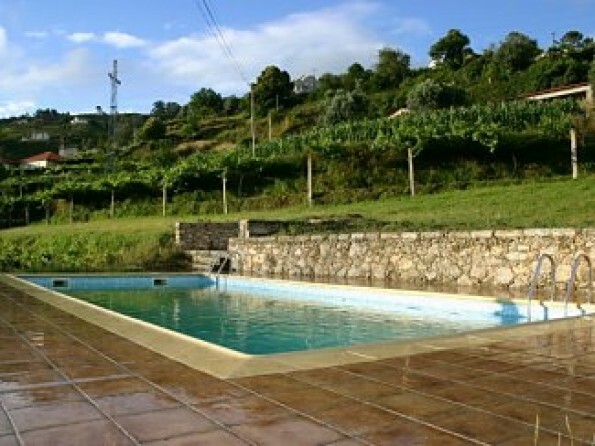 There is also an 11m x 5m shared swimming pool from where there are wonderful views over the surrounding countryside. Deck chairs and umbrellas are provided for shade and comfort. The nearest restaurant is just over a mile from the property and serves traditional Portuguese fayre (it also has a take away service). 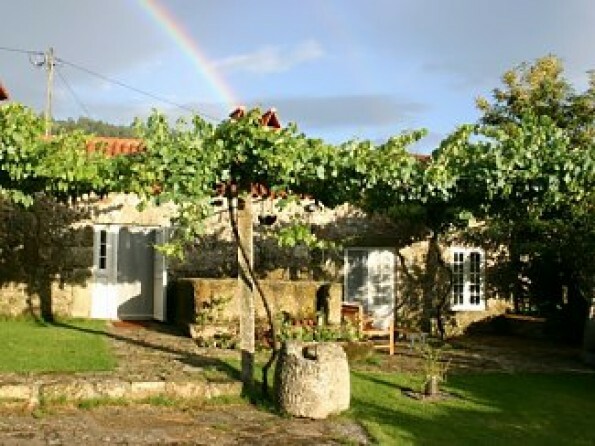 There are several good informal eateries in Paredes de Coura, a 7 mile drive away, whilst Ponte de Lima boasts some more elegant restaurants for special evenings out. There are two small supermarkets in Paredes de Coura where most requirements can be met, and several large ones in Ponte de Lima. The local golf course in Ponte de Lima is only a 25 minute drive from the cottage and it has been said that the local course is more attractive, considerably cheaper and gives a better game than many of the Algarve courses. Other courses in the area can be found at Estella and Vigo (in Spain) - both are less then a one hour drive away. 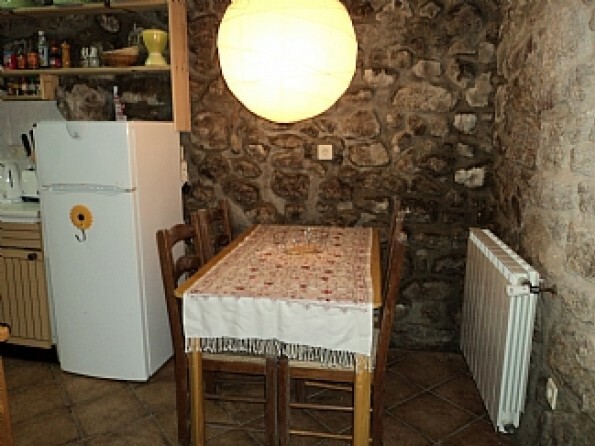 Payment of a small deposit is required to confirm a booking. 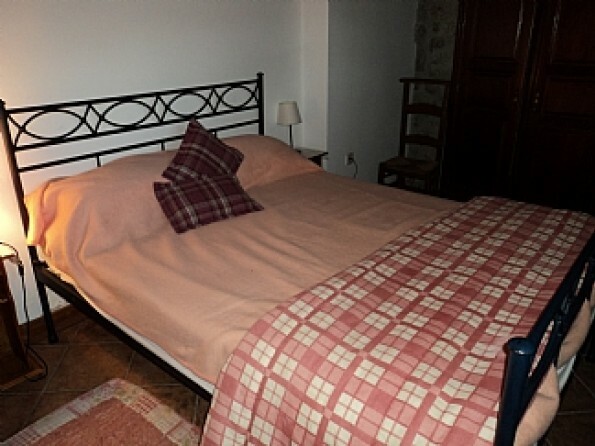 Price includes linen, towels (including swimming towels) and cleaning but central heating and firewood, if required, are charged separately. A generous welcome hamper is provided. Seasonal discounts are available - please contact the owner. Saturday is our preferred changeover day but some flexibility is possible particularly out of high season.